During workout, your body demands strength and energy which will improve recovery and prevent muscle fatigue*. 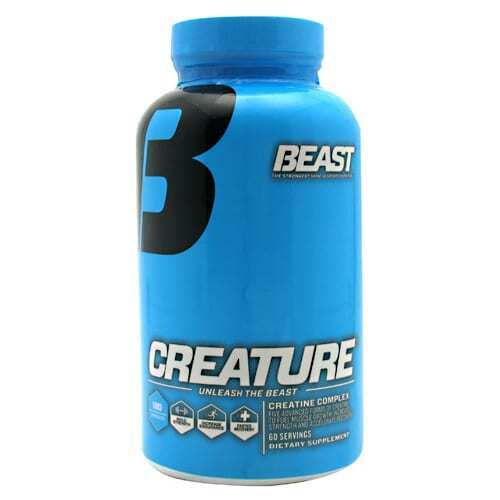 One of the supplements that has hit the market with storm is Beast Creature Creatine. This is an energy boosting and bodybuilding formula that contains ingredients which enhance muscle growth* and accelerates recovery*. According to clinical analysis, Creatine which is a nonessential protein enhances weight training by increasing energy production*, improving aerobic capacity*, supporting muscle growth*, enhancing muscle recovery, improving glucose tolerance* and providing high intensity workouts*. Since the muscles do not synthesis their own creatine, they absorb the liver-synthesized creatine from blood*. By supplementing your body with Beast Creature Creatine, you will be supplying your muscles with enough creatine which will promote energy production*. This is achieved through binding of high energy phosphate molecule to creatine*. The phosphate molecule is then released when energy reduces in muscle tissues*. This ultimately ensures high intensity workouts*. Beast Creature Creatine supplement provides high energy during weight training and endurance workouts allowing your body to push harder* recover quicker* and go faster*. 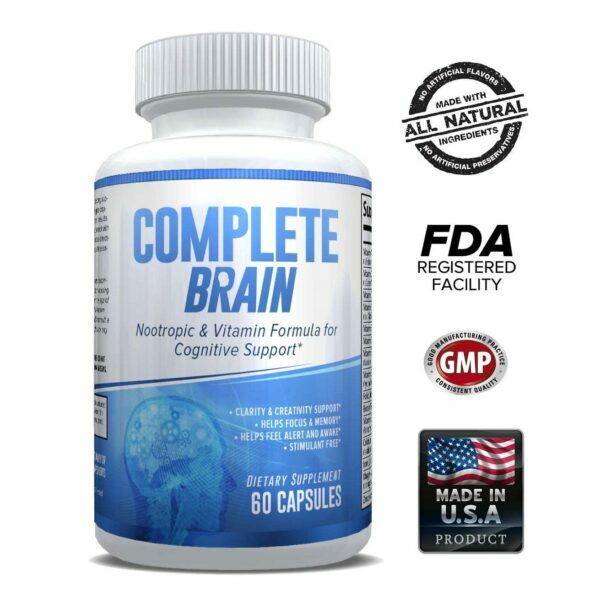 This eventually stimulates the development of lean muscle mass* aid in muscle recovery* and prevent muscle breakdown*. 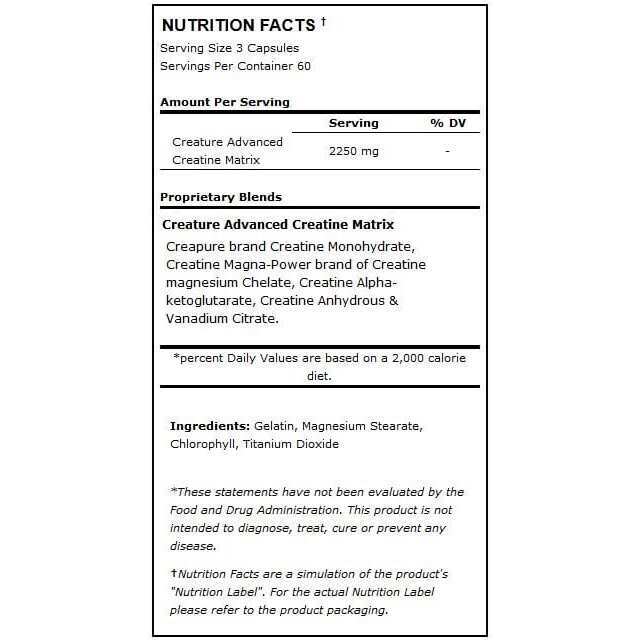 Beast Creature formula is a blend of five quality types of creatine that are considered top: Creatine MagnaPower which is designed using magnesium and creatine to form Magnesium Creatine Chelate, Creapure brand Creatine that is formulated using patented manufacturing process, Creatine AKG which has been blended with Alpha-Ketoglutaric Acid, Creatine Anhydrous which is a form of creatine whose water molecule has been removed*. The firth ingredient is Crea-Trona which is scientifically known to deliver 94% creatine*. Combined with the other four ingredients, Crea-Trona makes Beast Creature the best bodybuilding formula in the market*. The product has been passed through a number of manufacturing processes to ensure optimum purity and to increase its absorption process in the body*. 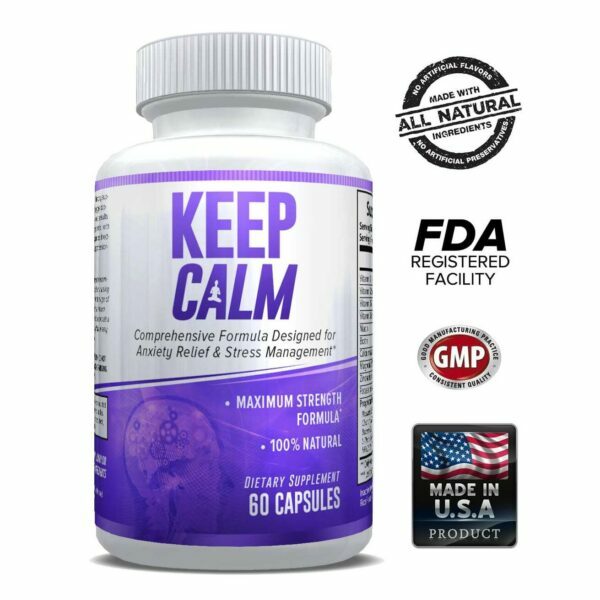 This helps to prevent intestinal discomforts and bloating side effects associated with other forms of bodybuilding supplements*. As part of the reformulation, Beast Creature Creatine has been added Cinnulin and Astragin in order to maximize direct uptake to the muscle cells*.